« My Second Google Adsense Income of $211.72! Weeeeee!!! I have grab a dot com domain name for only $2.19! 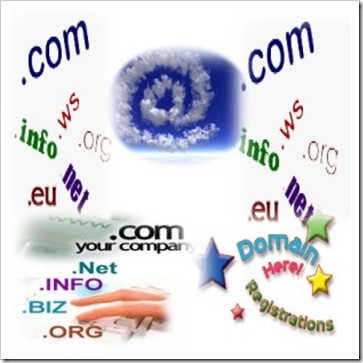 Normally it cost about $8-12 per dot com domain name. $1.99 DOMAIN NAMES! A Special for Buy.com Customers! Applies to the first year only of new or transfer registrations. This offer may not be used for renewals, bulk registrations, premium domains or Sunrise/Landrush domain registrations. Limited to one order per customer, expiring after 7,500 redemptions or on July 7, 2009 (whichever comes first). Discount will be reflected in your shopping cart; cannot be used in conjunction with any other offer or promotion. Customers may not use gift cards or PayPal® to redeem this offer. * Plus ICANN fee of 20 cents per domain year for .COM and .MOBI registrations. This entry was posted on Thursday, June 25th, 2009 at 2:11 pm	and is filed under Advertisement. You can follow any responses to this entry through the RSS 2.0 feed. Both comments and pings are currently closed. i just bought 2 dot com domain from godaddy..so far this is the cheapest price for dot com…which normally will cause you around 25-40 ringgit perdomain….planning to buy 5 more this week. so far so good…i got more than 10 acc with goddaddy…as long you won’t violate their term or what ever .. they won’t “kacau” you..